Love wearing bright, intense and dramatic eye makeup, but frustrated with the lack of brighter color intensity on your eyes? I have gone through a number of trials and errors to make my eyeshadow pop and appear brighter on the eyelids. All those posters look enticing in a makeup store and the models are always seen wearing their eye makeup bright and vibrant in magazines. So, why is it so difficult to get the same look at home? Eyeshadows in the palette look amazingly vibrant, intense, and colorful, but most of the times they fail to transfer the same vibrancy to our eyelids. How to get that perfect bright color eyeshadow? It is a secret – well not really! We have compiled a list of tips that will help you get the look you desire. 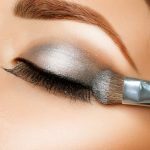 Regardless of the color, makeup brand, texture or finish, with these tips you can now confidently carry the eyeshadow and make your eyes look more beautiful! Most of us concentrate more on the end result of the eye makeup, but we always forget to use an eye primer. Eyeshadow primers work like a multipurpose product. It is a total misconception that eye primers work for the sole purpose of increasing the longevity of the eyeshadows. Eye primers also add vibrancy to the eyeshadows, making the color pop up on your eyelid and doesn’t get affected by the eyelid pigmentation that you may naturally have. Eye primers come in different finishes. You can choose a skin tone variation to even out the eyelid pigmentation as well as help the eyeshadow pop. A white or pale colored primer will make the eyeshadows appear extremely vibrant. An eye shadow base is a popular way to make your eyeshadows appear bright and vibrant. The formula of the eyeshadow base is completely different from that of an eye primer. It has a thick and creamy formula. The bright eye shadow base helps to intensify the color pay off and also helps in making the eyeshadow stick to the eyelid. The best application of the eyeshadow base is with your finger tips, at it helps in easy spreading of the product. Makeup artists always apply the eye primer first and then follow it up with an eyeshadow base. Eye pencils can easily double up as a base for your eyeshadows. If you are on a tight budget or if you don’t own an eye primer or eyeshadow base, then this trick will be of great help to you. White eye pencils can replace an eyeshadow primer easily. They are generally made with a nice creamy formula, which helps the eyeshadow adhere firmly onto them. The added benefit is that they also enhance the color intensity of the eyeshadows as they are opaque and cancel out eyelid pigmentation. Cover your entire eyelid with the white eye pencil and use a stiff eyeshadow brush or your fingers to quickly spread the eyeliner uniformly to make it work as a base. Then, top your eyeshadow over it and notice brighter color intensity on your eyelids. Just like the white eye pencil as a base for eye makeup, the black eye pencil too works effectively in popping out the eyeshadow’s vibrancy. The only trick to be remembered is to apply it as a base only for darker and sultry eyeshadows as pale eyeshadows can change the color as soon as it is applied on a darker base like black. Greens, bronze, maroon, reds, blues and purple eyeshadow colors work amazingly against a black eye pencil base. This tip may sound simple, but is extremely helpful to make your eyeshadows appear brighter. Simply layer the eyeshadow twice to instantly make it pop out and appear visibly brighter. My most favorite trick to make my eyeshadows appear visibly brighter and pop out, is to wet my eyeshadow brush with a makeup setting spray or plain water. 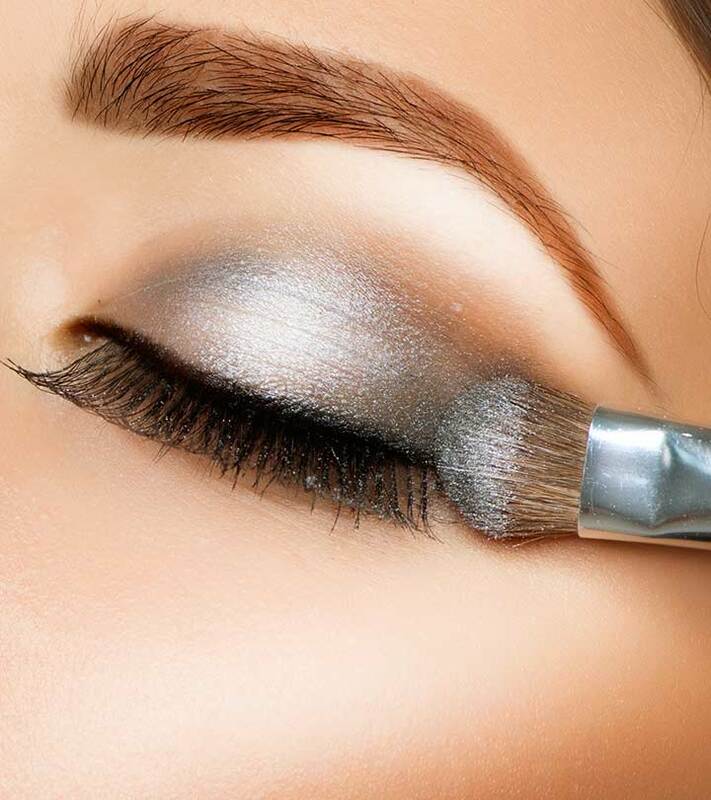 After wetting your eyeshadow brush with water, slowly pat it over a clean tissue paper to remove the excess water. Always remember not to wet the brush too much with water as it will make your eyeshadows run from your eyelids. The brush should be slightly damp to pick the product up and pat it on your eyelid. You will instantly notice brighter and intense pigmentation. If you have perfectly normal eye lids and do not really need an extra eye primer, then you can use your concealer as a base prior to the application of your eyeshadows. The formula of the concealer being very creamy and tinted in a skin tone color acts as a great base for your eyelids. It helps in adhering the eyeshadows better to your eye lids plus evens out the pigmentation on your eyelids, providing an even and brighter color intensity. Try these tips to make your eyeshadow appear visibly brighter and pop on your eyelid. What do you do to increase the color intensity of the eyeshadows on your eyelids? Let us know through the comments section below. Tutorial – How To Use Blush As An Eye Shadow? How To Apply Blue Eye Shadow Makeup Perfectly?